At Integritas Workplace Law Corporation, we have extensive experience in workplace law and can help you find suitable legal solutions for all your workplace and employment-related issues. We also engage in solving workplace and employment-related conflict disputes across Canada utilizing experienced mediators and workplace investigators. At Integritas Workplace Law, we provide, you – our client, with the best-possible solutions to your workplace issues using our legal knowledge as well as practical experience as human resource practitioners. 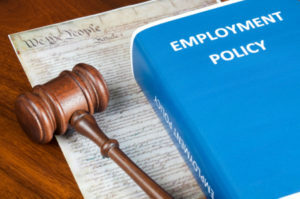 Our lawyers have significant expertise in all aspects of workplace law, including human rights, termination of employment, bullying and harassment, workers’ compensation, drafting employment agreements and developing policies and manuals. Our solutions are a blend of legal insight & practical experience and are delivered in a timely and cost-efficient manner. Call – (604) 816-8577 Today! At IWL, we represent employers from a wide variety of backgrounds in Vancouver as well as across British Columbia and our diverse client base includes small to medium sized businesses, large corporations, Canadian subsidiaries and mid-level employee to senior executives.